He did it! Of course he did it; what else did you expect to happen? Our man, Saquon Barkley, has officially been named NFL Offensive Rookie of the Year. Did he deserve it? I think the stats and records can do the talking. 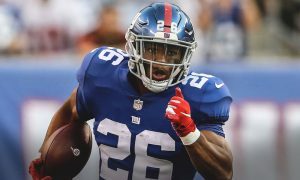 With these incredible stats Saquon also broke the record for most receptions by a rookie (91) and joined an elite club of rookies by having over 2,000 yards in a rookie season. What’s next for this kid? Only time will tell. For the moment, let’s just bask in his talent. So to jump back to a hot topic, let’s play with one of the hottest rumors flying around in Giants world. Let’s take the view that Eli Manning is coming back as the starter for next year. In our current draft spot a quarterback might be available, they might not. 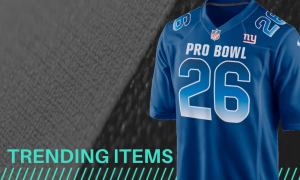 In the scenario that there isn’t a quarterback available, do we beef up the offensive line or do we play the other side of the ball and perhaps grab a pass rusher? In this scenario I would like to see a right tackle taken. Often times when Eli is sacked fans immediately turn to the offensive line and begin to criticize. For the most part I’ll agree. I think one of the best decisions made over the previous off season, which really was a no brainer, was letting Ereck Flowers walk. Is Chad Wheeler the solution. Hell no. So back to that scenario. Do we take the best player available or do we possibly reach a bit and plug a dooming hole we have on the offensive line. If we’re putting all of our chips on Eli and we want to have a chance, I say we have to. It’s not the smartest or best decision by any means, but it’s very possible. 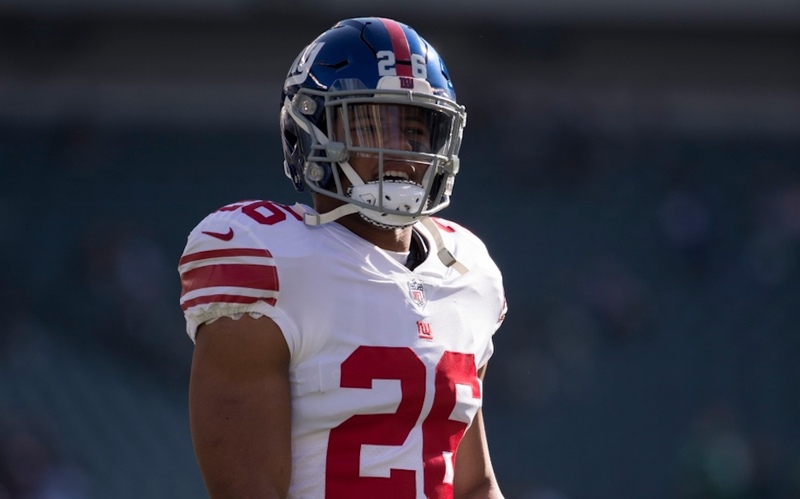 “Saquon Barkley, Has Officially Been Named NFL Offensive Rookie Of The Year.” was written by Guest blogger Justin Alequin. You can find his other thoughts on whiskeybravobros.com Please Share this post & leave some feedback in the comment field below, I would love to know what you think.